This page is about the OpenSSH version of `ssh-keygen`. For Tectia SSH, see here. If you wish to generate keys for PuTTY, see PuTTYgen on Windows or PuTTYgen on Linux. Ssh-keygen is a tool for creating new authentication key pairs for SSH. Such key pairs are used for automating logins, single sign-on, and for authenticating hosts. The SSH protocol uses public key cryptography for authenticating hosts and users. The authentication keys, called SSH keys, are created using the keygen program. SSH introduced public key authentication as a more secure alternative to the older .rhosts authentication. It improved security by avoiding the need to have password stored in files, and eliminated the possibility of a compromised server stealing the user's password. However, SSH keys are authentication credentials just like passwords. Thus, they must be managed somewhat analogously to user names and passwords. They should have a proper termination process so that keys are removed when no longer needed. Your identification has been saved in /home/ylo/.ssh/id_rsa. Your public key has been saved in /home/ylo/.ssh/id_rsa.pub. First, the tool asked where to save the file. SSH keys for user authentication are usually stored in the user's .ssh directory under the home directory. However, in enterprise environments, the location is often different. The default key file name depends on the algorithm, in this case id_rsa when using the default RSA algorithm. It could also be, for example, id_dsa or id_ecdsa. Then it asks to enter a passphrase. The passphrase is used for encrypting the key, so that it cannot be used even if someone obtains the private key file. The passphrase should be cryptographically strong. Our online random password generator is one possible tool for generating strong passphrases. rsa - an old algorithm based on the difficulty of factoring large numbers. A key size of at least 2048 bits is recommended for RSA; 4096 bits is better. RSA is getting old and significant advances are being made in factoring. Choosing a different algorithm may be advisable. It is quite possible the RSA algorithm will become practically breakable in the foreseeable future. All SSH clients support this algorithm. dsa - an old US government Digital Signature Algorithm. It is based on the difficulty of computing discrete logarithms. A key size of 1024 would normally be used with it. DSA in its original form is no longer recommended. ecdsa - a new Digital Signature Algorithm standarized by the US government, using elliptic curves. This is probably a good algorithm for current applications. Only three key sizes are supported: 256, 384, and 521 (sic!) bits. We would recommend always using it with 521 bits, since the keys are still small and probably more secure than the smaller keys (even though they should be safe as well). Most SSH clients now support this algorithm. ed25519 - this is a new algorithm added in OpenSSH. Support for it in clients is not yet universal. Thus its use in general purpose applications may not yet be advisable. Normally, the tool prompts for the file in which to store the key. However, it can also be specified on the command line using the -f <filename> option. 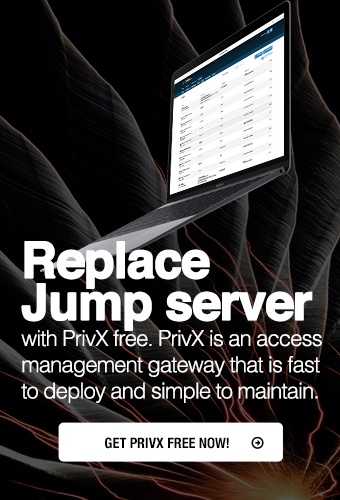 Once the public key has been configured on the server, the server will allow any connecting user that has the private key to log in. During the login process, the client proves possession of the private key by digitally signing the key exchange. ssh-agent is a program that can hold a user's private key, so that the private key passphrase only needs to be supplied once. A connection to the agent can also be forwarded when logging into a server, allowing SSH commands on the server to use the agent running on the user's desktop. For more information on using and configuring the SSH agent, see the ssh-agent page. The tool is also used for creating host authentication keys. Host keys are stored in the /etc/ssh/ directory. The host keys are usually automatically generated when an SSH server is installed. They can be regenerated at any time. However, if host keys are changed, clients may warn about changed keys. Changed keys are also reported when someone tries to perform a man-in-the-middle attack. Thus it is not advisable to train your users to blindly accept them. Changing the keys is thus either best done using an SSH key management tool that also changes them on clients, or using certificates. OpenSSH does not support X.509 certificates. Tectia SSH does support them. X.509 certificates are widely used in larger organizations for making it easy to change host keys on a period basis while avoiding unnecessary warnings from clients. They also allow using strict host key checking, which means that the clients will outright refuse a connection if the host key has changed. OpenSSH has its own proprietary certificate format, which can be used for signing host certificates or user certificates. For user authentication, the lack of highly secure certificate authorities combined with the inability to audit who can access a server by inspecting the server makes us recommend against using OpenSSH certificates for user authentication. However, OpenSSH certificates can be very useful for server authentication and can achieve similar benefits as the standard X.509 certificates. However, they need their own infrastructure for certificate issuance. See more information on certificate authentication. It is easy to create and configure new SSH keys. In the default configuration, OpenSSH allows any user to configure new keys. The keys are permanent access credentials that remain valid even after the user's account has been deleted. In organizations with more than a few dozen users, SSH keys easily accumulate on servers and service accounts over the years. We have seen enterprises with several million keys granting access to their production servers. It only takes one leaked, stolen, or misconfigured key to gain access. In any larger organization, use of SSH key management solutions is almost necessary. SSH keys should also be moved to root-owned locations with proper provisioning and termination processes. For more information, see how to manage SSH keys. A widely used SSH key management tool for OpenSSH is Universal SSH Key Manager. Practically all cybersecurity regulatory frameworks require managing who can access what. SSH keys grant access, and fall under this requirement. This, organizations under compliance mandates are required to implement proper management processes for the keys. NIST IR 7966 is a good starting point. It is important to ensure there is enough unpredictable entropy in the system when SSH keys are generated. There have been incidents when thousands of devices on the Internet have shared the same host key when they were improperly configured to generate the key without proper randomness. On general purpose computers, randomness for SSH key generation is usually not a problem. It may be something of an issue when initially installing the SSH server and generating host keys, and only people building new Linux distributions or SSH installation packages generally need to worry about it. Our recommendation is to collect randomness during the whole installation of the operating system, save that randomness in a random seed file. Then boot the system, collect some more randomness during the boot, mix in the saved randomness from the seed file, and only then generate the host keys. This maximizes the use of the available randomness. And make sure the random seed file is periodically updated, in particular make sure that it is updated after generating the SSH host keys. Many modern general-purpose CPUs also have hardware random number generators. This helps a lot with this problem. The best practice is to collect some entropy in other ways, still keep it in a random seed file, and mix in some entropy from the hardware random number generator. This way, even if one of them is compromised somehow, the other source of randomness should keep the keys secure. Available entropy can be a real problem on small IoT devices that don't have much other activity on the system. They may just not have the mechanical randomness from disk drive mechanical movement timings, user-caused interrupts, or network traffic. Furthermore, embedded devices often run on low-end processors that may not have a hardware random number generator. The availability of entropy is also critically important when such devices generate keys for HTTPS. Our recommendation is that such devices should have a hardware random number generator. If the CPU does not have one, it should be built onto the motherboard. The cost is rather small. This option specifies the number of bits in the key. The regulations that govern the use case for SSH may require a specific key length to be used. In general, 2048 bits is considered to be sufficient for RSA keys. This option allows reformatting of existing keys between the OpenSSH key file format and the format documented in RFC 4716, “SSH Public Key File Format”. -p “Change the passphrase” This option allows changing the passphrase of a private key file with [-P old_passphrase] and [-N new_passphrase], [-f keyfile]. -i Input When ssh-keygen is required to access an existing key, this option designates the file. -f File Specifies name of the file in which to store the created key. -N New Provides a new passphrase for the key. -P Passphrase Provides the (old) passphrase when reading a key. -c Comment Changes the comment for a keyfile. -p Change the passphrase of a private key file. -l Fingerprint Print the fingerprint of the specified public key. -B Bubble babble Shows a bubble babble (Tectia format) fingerprint of a keyfile. -F Search for a specified hostname in a known_hosts file. -R Remove all keys belonging to a hostname from a known_hosts file. -y Read a private OpenSSH format file and print an OpenSSH public key to stdout. This only listed the most commonly used options. For full usage, including the more exotic and special-purpose options, use the man ssh-keygen command.